Taking a supportive and visual approach, Successful College Writing improves your reading and writing skills no matter how prepared you are as you start college. Gain confidence reading critically and crafting your own content through hands-on activities and usable, step-by-step instructions for composing a writing project and taking it through to its final draft. Listen carefully, take notes, and participate in class. Don’t let non-academic problems interfere with success. Academic Reading and Writing: What Should You Expect? Why Improve Your Reading and Writing Skills? Start with a Positive Attitude toward Reading and Writing. Use the College Writing Center. Get the Most Out of Writing Conferences. Activate your background knowledge and experience. Form questions to guide your reading. Work to understand difficult readings. Review to consolidate your understanding. Draw a graphic organizer to examine relationships among ideas. Annotate to record your impressions. Synthesize the writer’s ideas with your own. Analyze and evaluate the reading. Determine the content and focus of your response essay. Follow the steps for writing a response essay. 1a. If I don’t know anything about the subject, what should I do? 1b. What can I do to keep my mind on an unappealing topic or selection? 1c. How can I figure out what I am supposed to learn from an assignment? 1d. What should I do when I feel overwhelmed or completely lost by an assignment? 2a. Do I need to learn every unfamiliar word? 2b. What should I do if I don’t know the meaning of a word? 2c. Which online resources are useful for vocabulary development? 2d. How can I learn the words I need to know? 3a. How do I identify the topic of a paragraph? 3b. How do I find the topic sentence? 3c. How do I figure out the implied main idea of a paragraph? 4a. How do I know which details are worth remembering? 4b. What should I do if I don’t understand a sentence or detail? 5a. What should I do if I just can’t get started on the assignment? 5b. How can I keep from getting lost in a difficult and lengthy reading assignment? 5c. How can I be sure I am understanding what I read? 6a. Should I reread assigned chapters or reading selections to review? 6b. How can I remember what I just read? 6c. How can I prepare for a quiz on a reading assignment? 6d. How can I prepare for class discussions based on a reading assignment? 6e. What should I do if I highlight practically everything? Ask questions to narrow a broad topic. Consider the genre and medium. Draw a map or cluster diagram. Use the patterns of development. Synthesize ideas to generate a working thesis statement. Write an effective thesis statement. Place the thesis statement effectively. Tailor the evidence to your writing situation. Collect evidence to support your thesis. Choose evidence for academic writing. Incorporate visuals into an essay. Use sources to support your thesis. A topic sentence should be focused. A topic sentence may preview the organization of the paragraph. A topic sentence should support your thesis. A topic sentence should be strategically placed. Effective paragraphs are well developed. Effective paragraphs provide supporting details and arrange them logically. Select a method of organization. Prepare an outline or a graphic organizer. Analyze your purpose and audience. Analyzing your introduction, conclusion, and title. Revise an essay using your instructor’s comments. Use your instructor’s comments to improve future essays. Are Your Sentences Parallel in Structure? Do your sentences have strong, active verbs? Are your tone and level of diction appropriate? Do you use words with appropriate connotations? Do you use concrete language? Do you use fresh, appropriate figures of speech? Description creates a word picture. Process analysis explains how something works or is done. Comparison and contrast shows similarities and differences. Classification and division groups items into categories or divides one item into its component parts. Extended definition explains how a term is used of what it means. Argument takes a position on an issue and offers reasons and evidence for or against it. What Are the Characteristics of a Narrative? Narratives convey action and detail. Narratives present a conflict and create tension. Narratives are told from a particular point of view. What Are the Characteristics of a Description? Description uses active verybs and varied sentence patterns. Description creates a dominant impression. Description uses connotative language effectively. Description follows a method of organization. What Are the Characteristics of Illustration Essays? Illusration considers purpose and audience. Illustration uses carefully selected examples. Illustration uses subexamples to add detail. What Are the Characteristics of a Process Analysis Essay? Process analyses usually include an explicit thesis statement. Process analysis is organized chronologically. Process analysis provide background information helpful to readers. Process analysis provides an appropriate level of detail. Process analysis anticipates trouble spots and offers solutions. What Are the Characteristics of Comparison and Contrast Essays? Comparison and contrast has a clear purpose and is written for a specific audience. Comparison and contrast considers shared characteristics. Comparison and contrast is organized point by point or subject by subject. Comparison and contrast fairly examines similarities, differences, or both. Comparison and contrast makes a point. Comparison and contrast considers significant and relevant shared characteristics. What Are the Characteristics of Classification and Division Essays? Classification groups and division divides ideas according to one principle. Purpose and audience drive the writer’s choice of a principle. Categories and parts are exclusive and comprehensive. Classification or division fully explains each category or part. Classification or division includes a thesis. What Are the Characteristics of Definition Essays? An extended definition is focused and detailed. An extended definition often includes a standard definition of the term. An extended definition makes a point. An extended definition uses other patterns of development. An extended definition may use negation and address misconceptions. What Are the Characteristics of Cause-and-Effect Essays? Causal analysis may focus on causes, effects, or both. Causal analysis includes a clear thesis statement. Causal analysis is logically organized. Causal analysis explains each cause or effect fully. Causal analysis may challenge readers’ assumptions or offer surprising reasons. What Are the Basic Parts of an Argument? What Are the Characteristics of Argument Essays? What Sources Do You Need to Document? 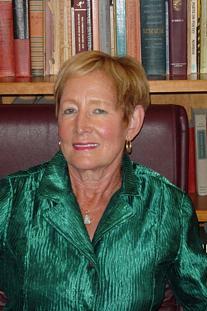 Kathleen T. McWhorter is professor emerita of humanities and former director of the Learning Skills Center at Niagara County Community College. She has also been on the faculty of the State University College at Buffalo. 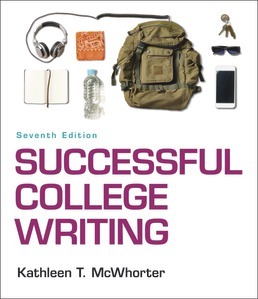 She is the author of a number of books on writing for freshmen-level students, including the popular guide Successful College Writing, Seventh Edition (Bedford/St. Martin’s, 2018), and the composition reader Reflections: Patterns for Reading and Writing, Second Edition (Bedford/St. Martin’s, 2017). She has also written a number of textbooks on reading and writing for developmental students, including In Concert: Reading and Writing, Second Edition (2016); In Harmony: Reading and Writing, Second Edition (2016); Reading Across the Disciplines: College Reading and Beyond, Sixth Edition (2015); Academic Reading, Eighth Edition (2014); and Efficient and Flexible Reading, Tenth Edition (2014).